Product categories of 1920*1080p HDMI monitor, we are specialized manufacturers from China, 1920*1080P Monitor, Ultra Slim suppliers/factory, wholesale high-quality products of Ips Monitor R & D and manufacturing, we have the perfect after-sales service and technical support. Look forward to your cooperation! Shenzhen Bolinia Technology Co., Ltd. is a manufacturer for 7-32 inch LCD Monitors and displays over 13 years. Original factory with assembling line in Shenzhen. Product ranges from plastic monitor, Metal Monitor , Resistive Touch Monitor, Capacitive Touch Monitor, Open Frame Monitor, Embedded Monitor to SDI Broadcasting Monitor. Square monitor or wide screen monitors are available with different resolutions. Members in Ali, Global Sources and Made-in-China. Newly launched 10.1-32 inch All in One PC and portable LCD monitors. Plastic or metal casing monitor from 7 inch to 24 inch. Single Touch Monitor with resistive 4 wire and 5 wire for options from 7 inch to 22 inch. 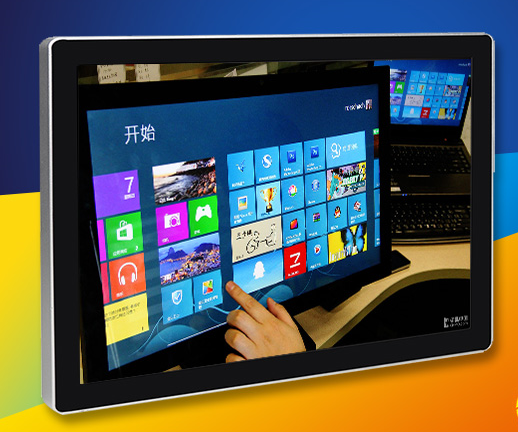 Multi-touch projected capacitive touch ( PCAP Touch or PCT) monitor from 8 inch to 24 inch. SDI monitor from 15 inch to 21.5 inch. High Brightness Monitor from 10 inch to 22 inch. Mirror Image Monitor with size: 8 inch, 9.2 inch, 10.4 inch, 12.1 inch, 15 inch, 17 inch, 19 inch, 20.1 inch and 22 inch. All In One PC with Android system with 10.1 inch, 13.3 inch, 15 inch, 15.6 inch, 18.5 inch, 21.5 inch, 23.6 inch, 24 inch, 27 inch and 31.5 inch. Portable LCD Monitor with11.6 inch, 12.5 inch, 13.3 inch and 15.6 inch. Products mainly used in ATM, POS, CCTV security, Information checking, Kiosk, BGA repairing station, Lottery terminals, microscopes and similar applications. Portable LCD monitors perfectly compatible to PS4/PS3/PS2/Xbox/Xbox 360, game consoles, PCs, Macs, Raspberry Pi, laptops, cameras and tablets.